Hello, dear readers. I was on vacation last week to see my family and meet my new nephew (who is v cute, in a larval sort of way). As you know, I make a point not to subject myself to PSLs while on vacation, so I did not. I hope you enjoyed Emily’s defense of the PSL in the interim. Thanks, coworkers. I mean it. Really. Anyway, thus inspired, I went off this morning to grab myself a latte. It’s been a while since I had one, and I am once again assaulted by its acridity. It’s funny how the drink feels so smooth and creamy (I suppose that’s kind of what a latte is?) and yet has a violent, offensive taste once the liquid drains down your gullet and all that remains is the aftertaste. Truly foul stuff. I was starting to feel that perhaps my job was almost done – the last PSL or two have been painless endeavours, very nearly pleasant. But no; my tolerance has receded and I am starting almost anew. Pity me, I implore you. Pity me. A point worth making here is that it is not, in any reasonable sense of the word, fall in San Francisco. It has been in the 80s since I returned, and perhaps crisper weather, more suited to denim jackets than rolled up hems, would provide the environmental context necessary for the proper enjoyment of these things. But alas, we must play the cards we are dealt, and one can only have smoothies for lunch when one is not labouring to bring fine reporting content to one’s readers. 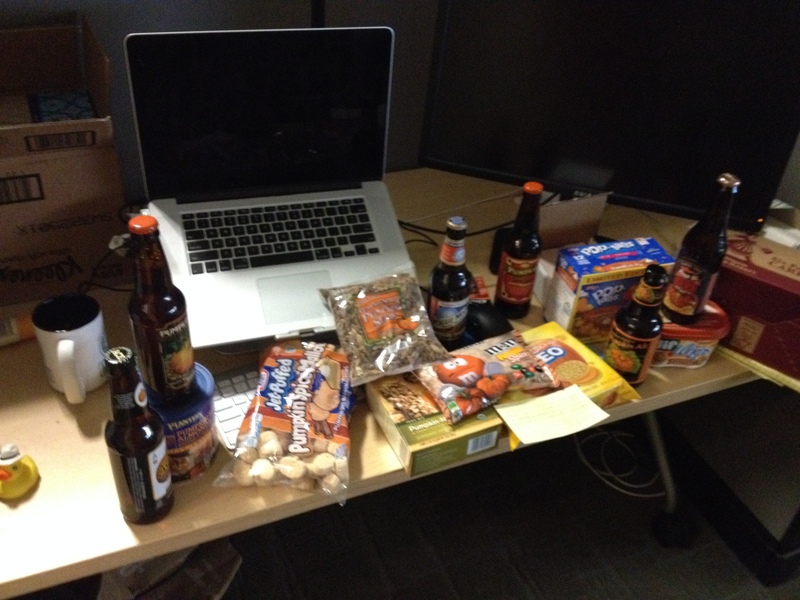 This entry was posted in PSL Challenge and tagged PSL, pumpkin spice. Bookmark the permalink.